Once a disability benefits claim has been filed with the Social Security Administration, the waiting begins. And as with most periods of waiting for anyone, this process specifically can make you feel as if your life is on hold until you have a solid timeframe outlined or the ruling. Understanding that a disability claim ruling can take anywhere from three months to much longer is an essential mindset that is necessary to the ultimate goal of achieving an approved claim. The length of a claim’s inspection may vary, depending on factors such as the severity of your disability, the time need to verify the facts in your case, as well as the workload of the Social Security Administration case worker examining your case. Because the timeframe for a ruling can be long-lasting, it is important to have a loyal advocate on your side, such as Muse Disability Services. 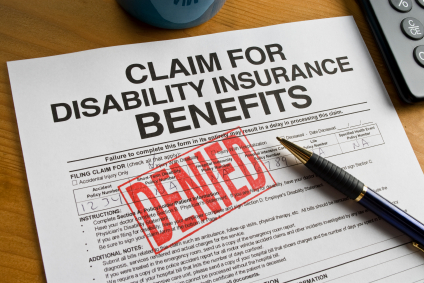 In fact, 90 percent of individuals who have professional representation have been granted approved disability claims. So, not only will choosing to work with us provide a greater chance of a win, we will also monitor and keep you apprised of your claim’s status throughout its lifecycle. Fortunately, if you are client of Muse Disability Services, your assigned representative will not only have thoroughly prepared and filed your claim, but he or she will also be monitoring the status of your application with the Social Security Administration every step of the way. You will be kept apprised of the status, any unforeseen issues, and the continual projection of your timeline and ruling. In addition, we are also in a specialized position to learn if there is anything along the way that can be done to accelerate the proceedings of your case. The service of monitoring your case is intended to alleviate that task from you, in addition to also providing you and your loved ones with peace of mind. And if there is a problem, your representative is armed with the knowledge and know-how to rectify the situation. Knowing that you have a trained professional as your advocate is a valuable and important benefit we guarantee each of our clients. There is a reason Muse Disability Services is an esteemed leader in the industry, and that reason is the company’s sole mission to help people with disabilities prepare for, win, and collect their rightful disability benefits. Muse Disability Services was formed in 1986 by former Administrative Law Judge C. G. Muse, Jr.; and since then, it has assembled a top-notch staff and legal team who are carefully trained and educated in navigating the oftentimes complex, and lengthy, disability benefits claim process. Thanks to our expert staff and quality of service, as our client, you will have the assurance that a representative is in your corner, fighting for your claim’s approval, and keeping constant tabs on the status of your case. Call us at us today at 1-800-922-4011 for a free consultation, and let us use our skillsets and knowledge to help you get the disability benefits you deserve.